Nominierte, die um den renommierten Golden Elephant Award kämpfen, haben die Möglichkeit, ihre Projekte während des Bea World Festivals vom 21. bis 24. November in Coimbra (Portugal) der Unternehmensjury und dem Publikum live zu präsentieren. Und auch der brandneue Best Location Awards wird die besten Event Locations und Convention Bureaus der Welt feiern. Time has come for the 13th Best Event Awards, the annual initiative that recognises and promotes excellence in events and live communication, and for the first ever Best Location Awards. Both initiatives will take place within Bea World Festival, the essential meeting place and networking event for the international event community. Over the years, the Best Event Awards have helped participating companies in finding inspiration and new ideas for their events and is now acknowledged as the main and most challenging international industry recognition. 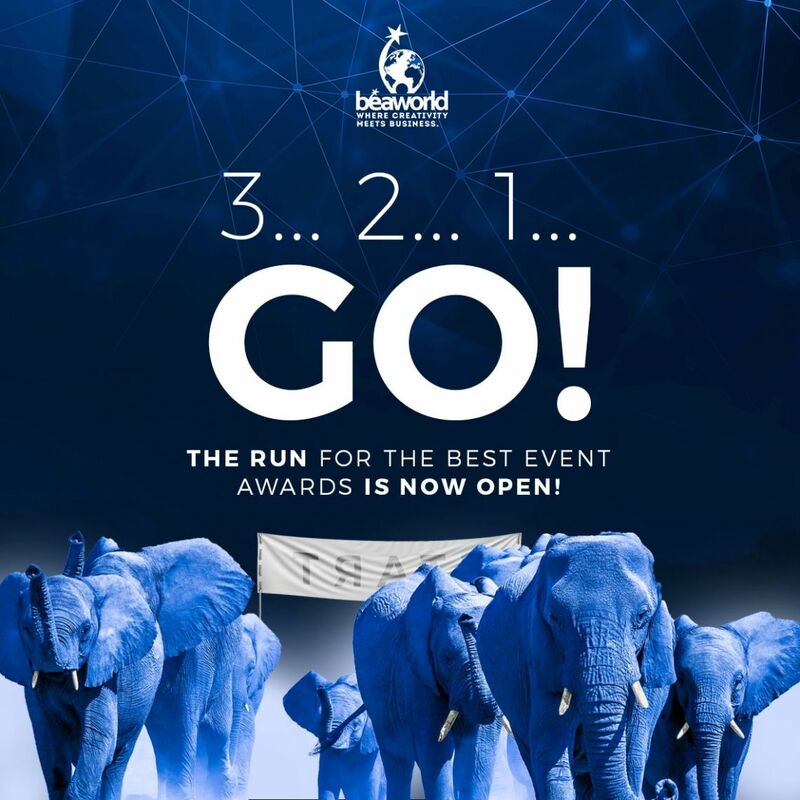 As in previous years, nominees contesting for the renowned golden elephant awards will have the opportunity to showcase their projects live in front of a prestigious jury composed of top corporate event professionals plus senior representatives of national event agencies associations. «The jury will judge each entry on a number of criteria», explains the president of the Jury Gerd De Bruycker, Marketing Director Northern Europe at Cisco Systems. «Creativity, which is not just an idea, but can also be an innovative approach to a specific aspect of the event; ROI and effectiveness, as ROI is key in today’s marketing world and, as corporate event marketers, we need to prove the ROI of our events; and finally the communication strategies, that should be effective in addressing and communicating to the target audience». New for 2018 is the distinction of the two Macro Categories (B2B and B2C) into two sub-categories each, according to the budget of the event (less than €500,000 / over €500,000), in order to collect in these categories projects better comparable to each other. Also new is the Media Event category, dedicated to events specifically – even if not exclusively – targeted to journalists such as press conferences, press days, and press presentations. Until 31st July, 2018 standard fees apply to enter the Best Event Awards and Best Location Awards. For more details please visit Beispiel: www.beaworldfestival.com/enter-bea. The Festival, organised by ADC Group in collaboration with APECATE, will take place in Coimbra (Portugal) between November 21st and 24th, 2018. Three inspiring days full of creativity, networking opportunities, knowledge transfer and destination experiences culminating in the Awards Ceremonies celebrating the winners of the Best Event Awards and Best Location Awards. Indeed, knowledge, networking and awareness are the key reasons why old and young professionals will join. Bea World will indeed offer the opportunity to build relationships with peers and influencers, to learn from experts and industry leaders and to increase the brand awareness. - Super Early-Bird offer: €450 (instead of €700). Valid only before July 31. - Corporate Clients Promo: €350. - 3×2 Offer: Buy 2 & get 1 free. Bea World Festival is an initiative by ADC Group and it is realized thanks to the collaboration of APECATE, the association that gathers and represents the Portuguese companies of Congresses, Events and Tourism Animation, along with the institutional support of Tourism of Portugal, Tourism of the Centre of Portugal, and Coimbra City Council.